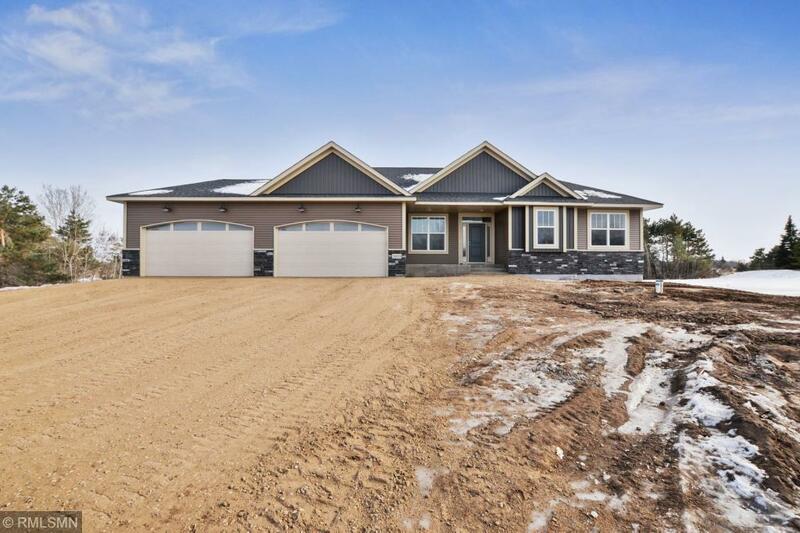 Experience luxury & amenities galore in this freshly built walk out rambler home. This 3BR/2BA Zimmerman gem is found on a 5-acre corner lot, only minutes away from Hwy 169 & downtown. The home features gorgeous details like granite ctrtps, fireplace w/ built-ins, luxury flrs, SS appliances, tiled master walk-in shower, lg kitchen island, oversized garage & heaps of natural light. W/ an open floor plan, this home boasts perfect main-level living on the largest parcel in a newer development.